The British Gazette » And now for something completely different? Meanwhile the Washington Post (https://www.washingtonpost.com/politics/clinton-defeats-sanders-in-nevada-black-voter-support-appears-decisive/2016/02/20/d4e53ac6-d654-11e5-be55-2cc3c1e4b76b_story.html) reports that Hillary Clinton held off a powerful late challenge from rival Sen. Bernie Sanders in Nevada’s Democratic caucus vote Saturday, securing a narrow victory that helps the former secretary of state regain momentum after a crushing defeat in New Hampshire. Of course, it is still far too soon to call these races; who will be the Republican candidate and who will be the Democratic candidate and who will be voted to be President in November. It is far too soon to say. 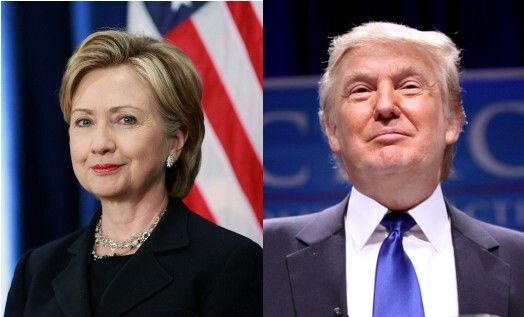 However there MIGHT be a possibility that the two contenders could be Donald Trump and Hillary Clinton. Based on the demographics that would tend to suggest the start of a second Clinton Presidency in January 2017. That is based on the assumption that the forthcoming election is like most previous races where domestic issues predominate. Making such assumptions however is extremely foolhardy. This is because the forthcoming election might have more attention paid to events overseas that in the past. There is of course D Day 2016. It would however be wrong to assume by that that the average American pays much attention to the goings on in Britain. Ask most Americans who is the British Prime Minister, most will not be able to name the Chameleon. Most will say don’t know. Several will say Margaret Thatcher. Again, most Americans are not really aware of what the European Union is. Many will not recall hearing anything about it. Notwithstanding this, news about events in Europe are beginning to percolate in “Middle America” – the mass migration of Biblical proportions has drawn the attention of the American news media. As has the Muslim identity of most of the migrants. The reports of rapine in Germany have also reached the American public. This in part is causing Mr Donald Trump to have the success he is having. Then we have “Donald’s little helper!” aka the Chameleon. The Chameleon, along with other British politicians have done something extraordinarily stupid: they have made critical comments about one of the candidates in a US Presidential race. This is extremely stupid with no up side to it at all. The idea that the Chameleon could gain any “Brownie points” with the other candidates is totally false. The one thing that the Chameleon has made certain is that he has put himself on Mr Trump’s radar and Mr Trump may well feel inclined to use such to his advantage and to the disadvantage of the Chameleon and by extension, the UK. IF the Chameleon thinks by making these statements he is going to win “Brownie Points” with Mrs Clinton, he is even more naive than this organ has previously thought. Then we have the case of Messrs. Obama and Kerry: these two gentlemen seem to be adopting the same stupidity as the Chameleon by becoming involved in the Brexit debate – on the “Staying In” side. It is this involvement that might tempt Mr Trump to become involved in the support of the Leave campaign: to take a counter position to the Democrats and to put the knife into the Chameleon. Then of course we have D Day itself. Notwithstanding his fig stalk of his “not-even-an-agreement” the Chameleon has a chance of winning the vote by lying, lying and lying again all the way until 10:00PM on Thursday 23rd June, 2016. However, were Deo volente, the British People were to vote in favour of Brexit, the results would be immediate and profound. This is because it would literally be a political earthquake on the continent of Europe. It WOULD introduce significant instability into the politics of Europe. Such are the potential seriousness of the effects on Europe, THE MOST SURPRISING THING about the fig stalk of his “not-even-an-agreement” that his fellow EU leaders have given the Chameleon is it’s extraordinarily small size – given what is at stake [for them] one would have assumed that a prudent politician would have at least given the Chameleon something more substantial that what he has been given! Of course, the detail of the negotiations is classified and will remain so for many years, but it is reasonable to assume – unless Frau Merkel has a gambling problem we do not know about – that Angela will have been urging the other EU leaders to go further. Much further! The gamble they are collectively taking is that the Chameleon will be successful in keeping the UK as a vassal of the EU. So, what would likely happen were David Dimbleby to announce in the wee small hours, on the morning of Midsummer’s Day 24th June, 2016 – on the BBC’s referendum special that the result is Brexit? Well the Frankfurt Stock Exchange opens at 09:00AM. However, Germany is on Central European Time thus will be one hour ahead of British Summer Time. This means that Frankfurt will open at the same time as the London Stock Exchange: 08:00AM BST. The Euro will drop like a lead balloon. The value of Eurobonds will drop similarly. This will immediately put pressure on the balance sheets of Eurozone banks under the new Basel liquidity requirements. Were the Eurozone economies in boom times and the public finances and sovereign indebtedness of the Eurozone members was in good shape, this would be serious. But the Reader will know the state of the Eurozone economies and finances are not in good shape! Stock-markets across Europe will crash as speculators will be shorting on the basis that a Brexit will cause an eventual collapse of the EU. This bear activity will of course be contagious. China and Japanese markets will already have reacted to the news of Brexit. New York will open some time afterwards and they too will experience the crunch. This turbulence – which will be a massive over reaction will be the cause of a self fulfilling prophecy. It will introduce another Eurozone crisis. Of course such turbulence in London will see the Chameleon resign before midday. His position as they say will have become untenable. A certain Mr Boris Johnson is likely to take over. As the Chinese wish their enemies: May you live in interesting times!